Location Manager Loves Filming in Westchester for the Fox Hit, "The Following"
Westchester County Film: We&apos;re so excited about Season 2 of "The Following!" What drew you to Westchester locations for this show? 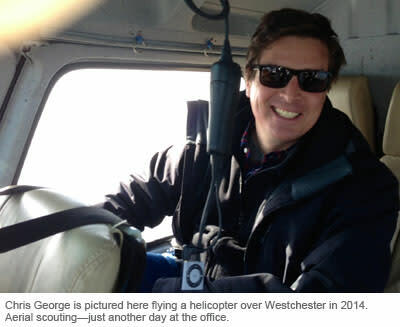 Chris George: Westchester County offers every kind of production value you could possibly need. Urban, suburban, rural, pastoral, industrial – the county has it all. Plus, the support that productions receive from the Lydia Ruth and the Westchester County Film Office adds a comfort level and peace of mind that you can&apos;t really put a price tag on. WCF: Tell us about some of the other productions you&apos;ve worked on here. CG: I&apos;ve filmed in Westchester County for over a decade on a variety of projects: "The Following," NBC&apos;s "30 Rock," "Law & Order: SVU" and "The Book of Daniel" and features like "Hitch" with Will Smith, "Riding in Cars with Boys" with Drew Barrymore, directed by Penny Marshall, and "A Beautiful Mind" with Russell Crowe, directed by Ron Howard. 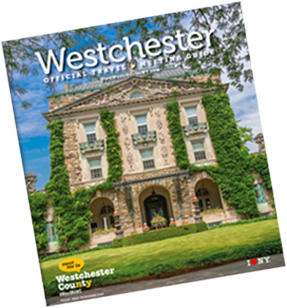 WCF: What are some of your favorite locations in Westchester County? CG: For The Following, we did a great sequence on top of Kensico Dam in Valhalla. [Editor&apos;s note: Kensico Dam Plaza is a Westchester County Park, with a dam that is 300 feet high and almost 2,000 feet long forming the Kensico reservoir]. I&apos;m also a fan of Saxon Woods county park in Scarsdale, the Westchester County Prison, the spectacular suburban homes of Harrison, the beautiful downtowns of Rye and Bronxville, Manhattanville College, and the Beechwood Estate at SUNY Purchase. Special mention goes to Jason Baker and Sgt. Chris Perotta in Yonkers and to Jackie Greer and Lt. Michael Olsey in Harrison. Those two towns in particular are really welcoming to production companies. We always feel especially comfortable in Yonkers and Harrison, too. WCF: What&apos;s a typical day like for you "at the office?" CG: I don&apos;t really get to spend much time at the office, specifically. I spend the majority of my days being driven around by a teamster in a scout van with the show&apos;s director, producer, production designer, and assistant directors. If I&apos;m not in the van, I&apos;m usually on the set. WCF: What do you take with you on a scouting mission? CG: The only two indispensable things are a camera and a phone: the camera to document where you are, and the phone to line up where you&apos;re going. At the end of the day, that&apos;s all you really need. WCF: What was your most exciting discovery as a location scout? CG: More often than not, finding the perfect location is all about timing. One of the most exciting discoveries we made last season on "The Following" was the former Ossining police station. We happened to be looking for several days all over the New York area for a building that could play as a small-town police station for a multiple-episode arc. With the Westchester County Film Office&apos;s guidance, we came upon the Ossining station not long after it closed, and it could not have been a more ideal location. It barely needed any dressing at all; we just had to set up the cameras and roll. Then, within a month or so after we finished filming, the building was sold and is now no longer available. I&apos;ll always look back on that place as one of the best locations we ever stumbled upon. My department still gets compliments on it over a year later.